BullGuard, one of the fastest growing internet and mobile security brands, has today announced the arrival of BullGuard Internet Security 2013, a new and improved version of its award-winning internet security software. With a focus on simplicity, increasing efficiency and building on its renowned levels of protection against the latest threats, BullGuard Internet Security 2013 delivers class-leading performance and usability to help users stay safe online. BullGuard Internet Security 2013 offers a range of improvements, including powerful parental controls that allow parents to monitor and block access to certain types of websites or IM chat applications, and now also offer better interception and block features to boost efficiency. Parents can even set how much time a child can spend on a computer or online per day in hourly increments. PC Tune Up allows users to effectively free up space and includes registry backup/restore and cleanup to remove unused registry entries, startup application management and service management, all of which help to improve the performance of a PC. 5GB of online backup can now be controlled directly through program folders without having to open the BullGuard software interface, with easy access to online backups from the PC and mobile devices, alongside improved continuous backup functionality. Simple to install and easy to use. Everything is just one click from the main BullGuard home screen. Antivirus. Catches all viruses. Behavioural Detection, which spots new viruses by how they act on your computer, Together with Signature-based Detection, which deals with known malware, make up a multi-layered defence system for your PC that’s virtually impenetrable. Firewall. Fends off cybercrime. Protect your computer from unwanted hackers and identity thieves. The Firewall protects you against network attacks and prevents cyber crooks from entering your system. Spamfilter. No spam, no scam. Let BullGuard Spamfilter keep out junk mail and e-mail scams, like phishing attempts, virus spreading and foreign language spam. Safe Browsing. All websites. Checked! Explore the web with ease and confidence. Parental Control. With BullGuard’s Parental Control you can block their access to suspicious websites, limit their time on the internet and monitor their activity. This way you can prevent them from being cyberbullied and exposed to inappropriate content. PC Tune Up. BullGuard’s PC Tune Up removes unnecessary files to improve your computer’s performance. It frees up memory so your computer runs at top speed. Game Mode. Turn on Game Mode to play without alerts, updates and pop-up messages. Now you can just focus on winning. Vulnerability Scanner. Keeps your PC in good health. The Vulnerability Scanner checks your computer for out-dated software that hackers and viruses can exploit to gain access to your system, damage it or steal your identity. Backup. FREE 5GB of Online Backup to keep your most important data, photos, music, and more safe. Bullguard Internet Security 2013 is priced at $60 for 1 year license key on up to 3 PCs. On the positive side I noted that BullGuard Internet Security 2013 can be tried free for 60 days, while other security software usually only offer 30 days free trial. If you think that the 60 days trial is still not enough, then here is a promotion offer to get a free copy of BullGuard Internet Security 2013 that protect you for 6 months (180 days). The 6 months trial offer includes only 1 GB Online Backup space instead of 5 GB. Updated [March 25, 2013]: BullGuard has changed their mind and is only offering 3 months of BullGuard Internet Security 2013 for free! 1. 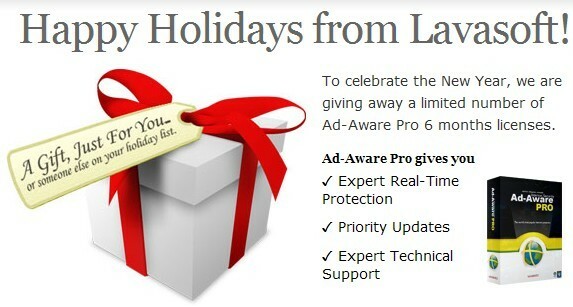 Go to the giveaway page here (Page is in Danish, use Google translate) or here, and click on the “Download ” button. 2. 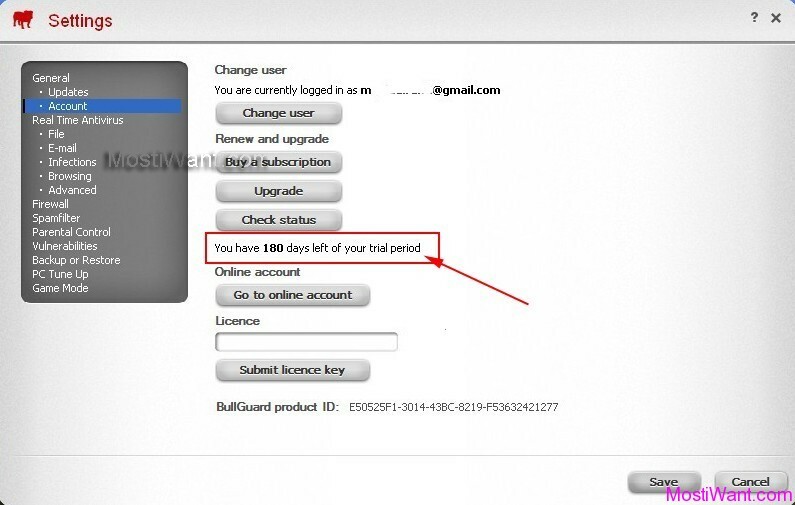 You will be asked to create / login your Bullguard account to apply your free 6 months subscription license key for 3PCs. 3. If you choose to create a new account, you will be asked to enter registration details. Enter the required details and click on the “Opret konto” (Create an account) button. 4. Upon successful registration, you will be prompted to download the BullGuard Internet Security online setup installer. 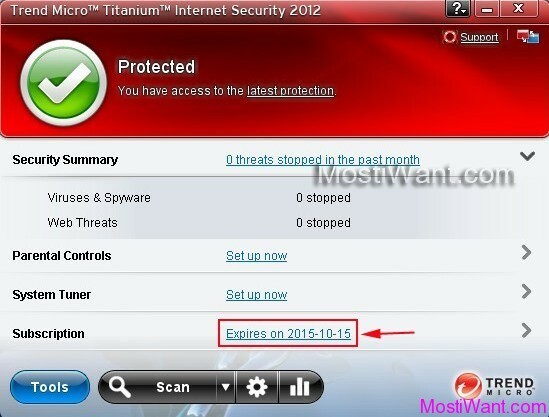 Cancel it and download BullGuard Internet Security 2013 from the direct link 32 Bit | 64 Bit. 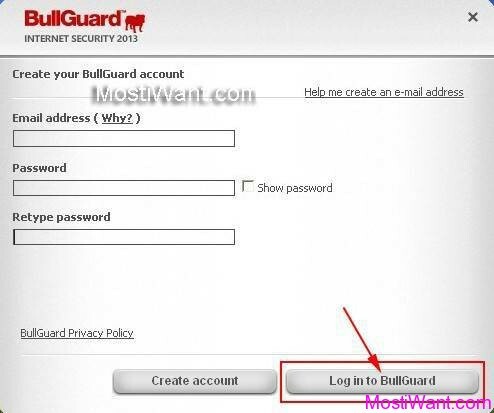 During installation, login your Bullguard account that you just created, and you will get 6 months trial of BullGuard Internet Security 2013. 5. To check whether you have successfully activated your free 6 months subscription, click on the “Settings” link found at the bottom of the BullGuard interface, and navigate to “General” -> “Account”. If you think that the 6 months trial is still not enough, then go to Settings – General – Account – License ( the screenshot shown above ), enter this beta license: HRSS-RRSB-UURG-AHHR and click on “Submit license key” button. 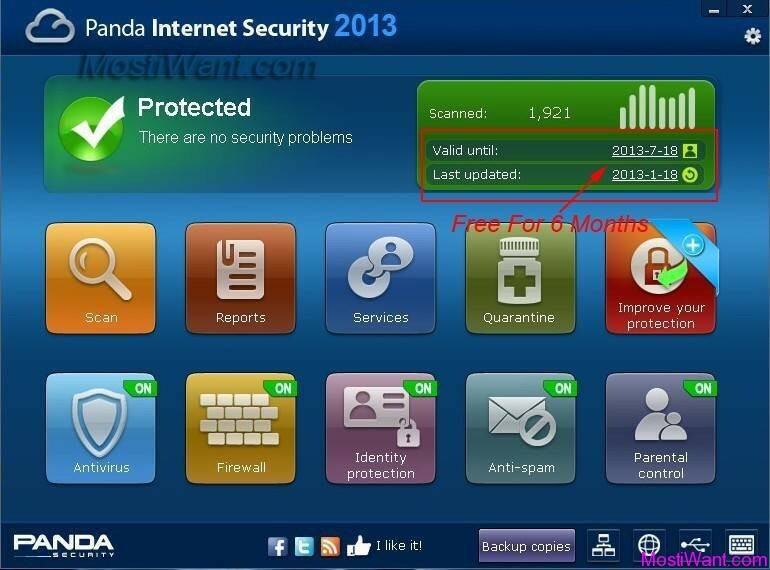 You will get extra 2 months subscription, so you can use BullGuard Internet Security 2013 free for 8 months (or 240 days). Updated: In fact, this is not a new promo but lasts for a long time. It is still working and the developer has released a new version of this software. I change the date published for this post to make it up. my bullguard shows already login by other user.. i try to change new user menu but it doesnot working?? I created my account and downloaded mine. I entered the licence key but it said I have 5 days left for my licence! Would you please apply one for me? Thanks a lot! please I need a one year key for bullguard internet security I have tried on your site I could not get any please help. I urgently need it as my system is at the at risk please help. I so much love the Bullguards but do not have the key only trial and it has expired and they could not allow me use trial again. please help me with a key. Hello. I wish i could have this software a go, but when i registered in their website my acount profile doesn’t show like that and i get no license key. Maybe it’s because of my area(europe)? If you can not successfully get your free 6 Months Serial License Key, then please leave a comment with a new email and I will try to apply one for you. Don’t know if it was a mistake of mine when registring, but it says i have no subscriptions. @13thReverend, You are welcome. I have sent you a 8 months BullGuard Internet Security license account.Please check your email for the details. Nothing shows on my account either 🙁 Can you send that key to me too?